Emory Johns Creek Hospital (EJCH) recently earned a second place award across the state for its work in medication reconciliation, to prevent adverse drug events from occurring. Emory Johns Creek Hospital accepted the Georgia Hospital Association (GHA) award at the Georgia Partnership for Health and Accountability Quality and Patient Safety Awards on Jan. 6, at Lake Oconee, in Greensboro, Georgia. The 2015 - 2016 recognition was in the category of “Hospitals with 100 to 299 Beds”. “Receiving this award further demonstrates EJCH’s commitment to patient safety and highlights the exemplary work done every day by our medication reconciliation team,” says David Lovell, Pharm.D, director of EJCH’s Pharmacy Department. The Society of Hospital Medicine chose six hospitals - including EJCH - to participate in the federally funded Multi-Center Medication Reconciliation Quality Improvement Study (MARQUIS), which started in 2010. Inspired by MARQUIS, EJCH launched a project called, “Medication Reconciliation: Reducing Pre-admission History Error & Optimizing the Discharge Medication Plan." Both studies focused on improving ways medications are prescribed, documented and reconciled, to prevent any harm from medications. Prior studies have found that hospitals experience an average of seven medication reconciliation errors per patient, per admission. 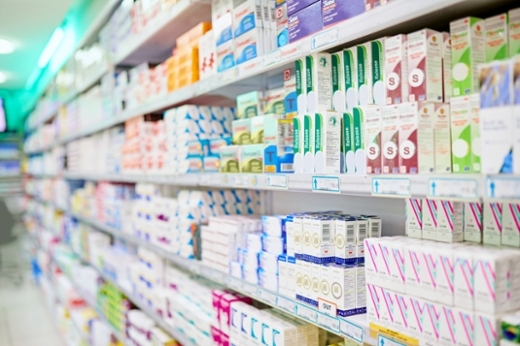 During EJCH’s research, it discovered its average number was lower, with three to four errors per patient, per admission, but EJCH’s pharmacy believed those numbers could be improved. The data collected prompted EJCH to establish a Medication Reconciliation Assistants Program and a post-discharge Pharmacy Care Program. Both new initiatives helped prevent dangerous and costly medication errors and reduced readmissions. The study revealed that six major post-discharge adverse drug events were avoided when 10 patients enrolled into the program. Kathleen Herman, Pharm.D at Emory Johns Creek Hospital, says patients are typically at a higher risk if they take 10 or more medications. Herman says the medication reconciliation assistants target these patients and conduct before and after assessments. EJCH’s goal is to get the medication reconciliation form completed within eight hours for each high-risk patient. After investigators finished the study, EJCH hired Erin McCollum, CPhT, in March 2014 as a full-time medication reconciliation assistant. Months later, the hospital added a second assistant, named Alishia Davis, CPhT. McCollum and Davis co-authored EJCH’s pharmacy study and collected data that has proven the medication reconciliation program saved $1,018,600 in prevented medication reconciliation cases in EJCH’s outpatient department. According to Theradoc, an electronic clinical surveillance program, from March 2014 to Nov.2015, EJCH avoided major and minor adverse drug events. The GHA award illustrates the amount of dedication EJCH’s pharmacy department has given to provide excellent care to the community. “This award proves that we truly care about our patients and are committed to putting them first and providing the best care possible here at EJCH,” says Davis. EJCH hopes to hire another full-time medication reconciliation assistant in 2016 to allow a consistent presence from the pharmacy department in the emergency room. “This would allow for the completion of the ‘best possible’ medication history prior to admission to the inpatient unit, thereby improving the patient’s experience and allowing a more efficient process,” says McCollum. This year, EJCH projects the medication reconciliation program will allow them to prevent over 1,000 adverse drug events in the inpatient setting. Also of note, at the GHA’s Partnership for Health and Accountability Quality and Patient Safety Awards, Emory University Hospital tied for third place in the category of“Hospitals with Greater than 300 Beds”. Emory University Hospital’s project was called, "Keeping Patients Safe: Strategies to Reduce Alarm Fatigue to Enhance Clinician Response to Serious or Life-Threatening Physiological Alarms".